Hello, it’s me! The girl formerly known as The Two Year Honeymoon! Welcome to my new blog, Finding Ithaka. I renamed my blog for a few reasons. 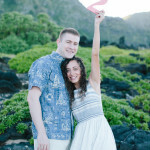 Our two year honeymoon in Hawaii is over, and I felt like that name didn’t fit with the direction I wanted to take my blog in. I loved writing The Two Year Honeymoon, and I’m sad to see it go. But it’s time for me to move on to my next adventure. The poem is based on Homer’s epic poem, The Odyssey, in which Odysseus spends 10 years trying to return home to Ithaca after the Trojan War. A number of mythical beings try to stand in his way – like the Cyclops, who traps Odysseus in a cave, and the Laistrygonians, who eat his men and throw rocks at his ships. But Odysseus perseveres. And he finds Ithaca. I find myself coming back to this poem over and over again, no matter where I am in life. When I first started blogging, I wrote this post about how much this poem means to me and how it’s helped me find myself. The Two Year Honeymoon was about the journey Nick and I had as newlyweds living in Hawaii. As we entered into our second year of marriage, I found myself wanting to write less about newlywed adventures and more about finding myself. My new blog, Finding Ithaka, is all about the journey. It’s about finding joy in the little things in life. It’s about the mistakes and the messes. It’s about forgiveness and second chances. It’s about finding gratitude every. single. day. It’s about celebrating life. It’s about opening yourself up to new ideas. It’s about traveling to faraway places and exploring your own backyard. It’s about overcoming the things that scare you. It’s about finding yourself. We’re all on a journey. Connecting with each other and reading each other’s stories, trials, and successes is a huge part of that journey, I think. 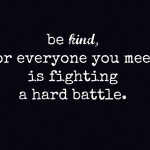 It makes us more empathetic, exposes us to new ways of thinking, and provides us with support and encouragement. Finding Ithaka is for anyone who is in search of something. It’s for anyone who loves to read and create. It’s for anyone who wants to slow down and appreciate how beautiful life really is. It’s for anyone who would rather take a trip than buy the latest gadget. It’s for anyone who craves adventure. It’s for anyone who wants to celebrate the little things that make life so great. 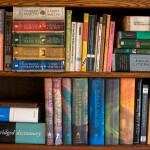 Thank you, friends, readers, and fellow bloggers, for coming back to my blog again and again to read, comment, share your stories, and connect with me. It means more to me than you could ever know. Let’s set out for Ithaka together. PS: I couldn’t let go of my blog header because I just love it so much. A designer made it just for me when I first started my blog, and it perfectly captures everything I love writing about. I tried out a couple of new designs, but I didn’t love anything as much as I love what I already have. So I just updated it. 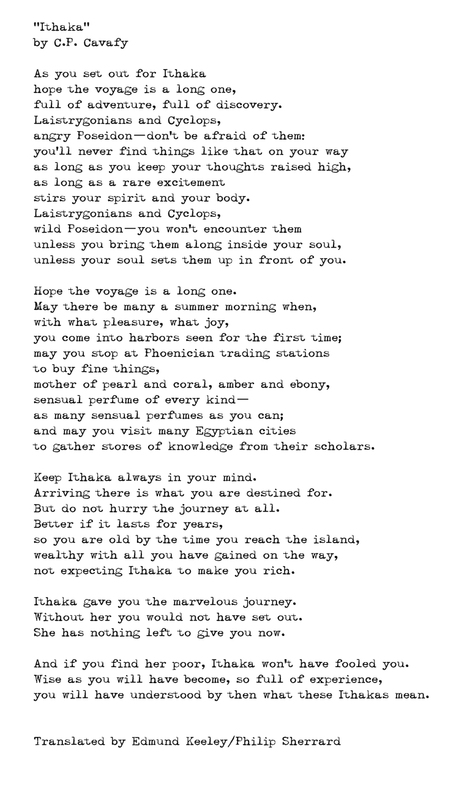 I think it still works within the theme of Finding Ithaka – travels, journeys, storytelling, connecting, writing. The date on the stamp is the date that Nick and I got married, and the hibiscus flowers on the stamps are the state flower of Hawaii. PPS: Look for posts on Tuesdays and Fridays — with my new blog, I will do my best to post on those days, so you know what to expect from me. 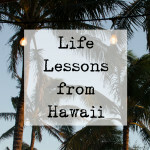 7 things living in Hawaii taught me. 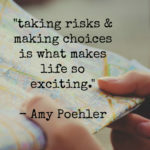 On taking risks and making choices. Thanks so much, Sophie! I’m really excited to see where this will take me. The poem just keeps finding me, no matter where I am in life, so I decided it was a sign. To be honest, I was never all that crazy about the name, The Two Year Honeymoon, so this is extra exciting to me! Thanks Heidi! I’ve been working on getting this up for so long so today is a really happy day! Also I wonder if you can get thetwoyearhoneymoon to redirect to findingithaka. Not sure what your setup is. Nick’s working on it! He was working on switching everything over last night, but didn’t realize how long it would take. He did a temporary fix for today. Everything should be redirected over the weekend! <3 thank you Emma! I've never been more excited about my blog before!! Thank you so much Shikha! I am so excited about it.